Students rally for a higher minimum wage — and for better salaries for adjunct professors. Three local students will appear on “Shark Tank” to promote a lotion for sweaty hands. A popular end-of-year drinking game raises concerns. The “Fight for $15” campaign came to UNC and Shaw University Wednesday, where hundreds gathered. As the nationwide activism continues for higher wages, two local restaurants have already decided to pay their workers more. One landfill in Catawba County converts the methane given off from trash into usable energy. A group of UNC and Duke students will appear on “Shark Tank” to raise money for an antiperspirant for hands. 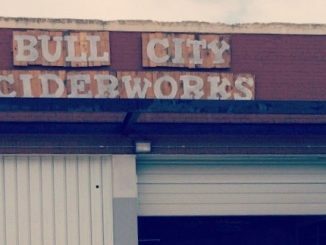 The owner of Bull City Cidery is using crowdfunding platform Kickstarter to save his business. The popular game encourages students to drink at nine bars in one night. UNC student Holland Gallagher is more than meets the eye, as he also produces music under the name Gentleman Contender. The Carolina Union Activities Board is holding a special event tonight: a concert with hip-hop due Rae Sremmurd. Hicks is the alleged gunman in the February shooting at Finley Forest Condominiums that left three people dead.